You guys know I love to cut shirts. I like making little tweaks to stretchy Zumba tank tops and turning unisex t-shirts into loose-fitting tank tops and halter tops. 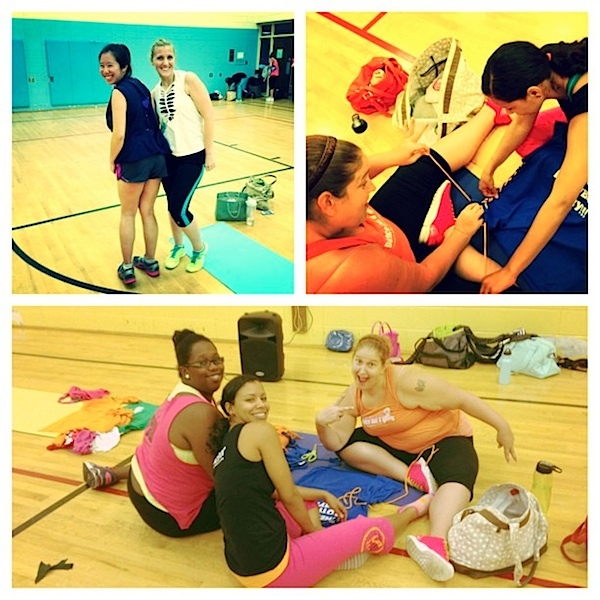 So, every once in awhile, I host a t-shirt cutting workshop for my Zumba class where we go over some of the basics. I share my tips and tricks and help them cut some practice tops. It’s always such a fun time, and I love seeing everyone’s creations – that night and after. I went out for some post-Zumba and post-t-shirt-cutting-workshop eats at Chloe’s recommendation – Bistro 88. 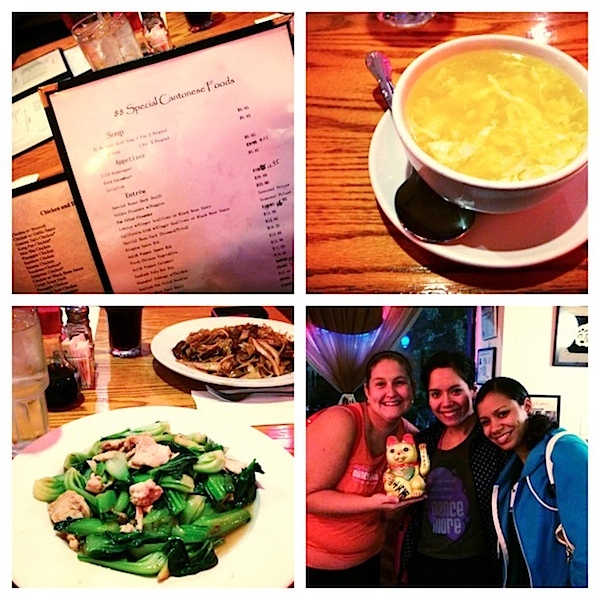 I’ve been looking for a favorite Chinese restaurant in Charlotte, and this may be the one. I’d been here one time before, but I thought it was good but not a stand-out. This time, Chloe told us about the “secret menu” – the Cantonese one. They only give you this menu if you ask for it. We all ordered off the Cantonese menu. I got the cabbage with chicken, which was boneless chicken with baby bok choy in a light white sauce (I also saw pieces of fresh ginger in the mix). Chloe got the Beef Chow Fan (which is also on the regular menu) and shared a bite. Those noodles could easily be addicting. The flavor was wonderful, and I def recommend trying it if you visit. 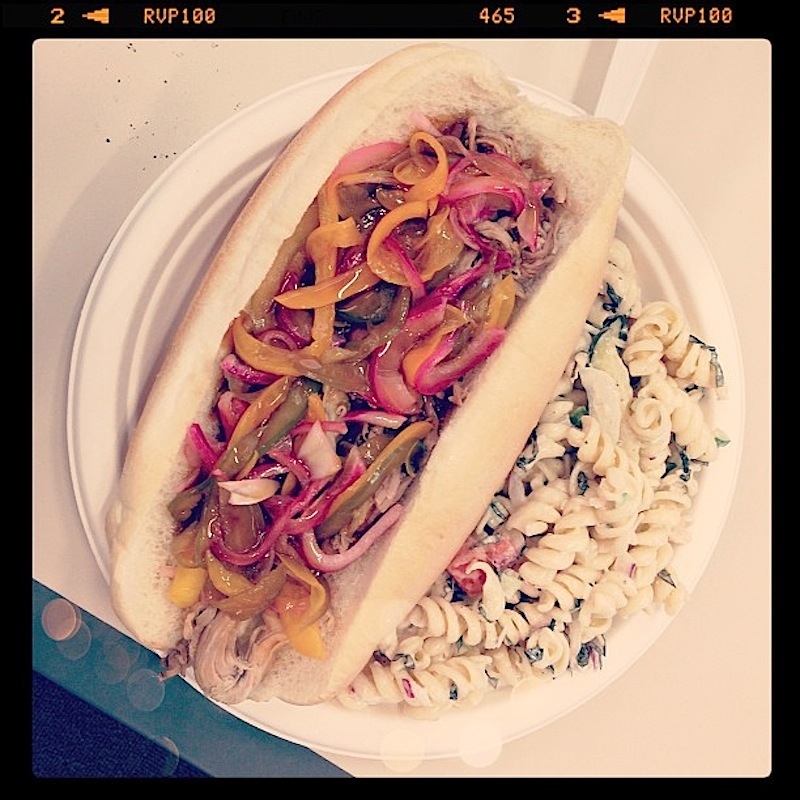 Here’s one of my yummy lunches from last week by the Roots food truck – pulled pork with pickled veggies and pasta salad. So fresh, so good! It’s so nice there are restaurants and food trucks in town that support local farmers. 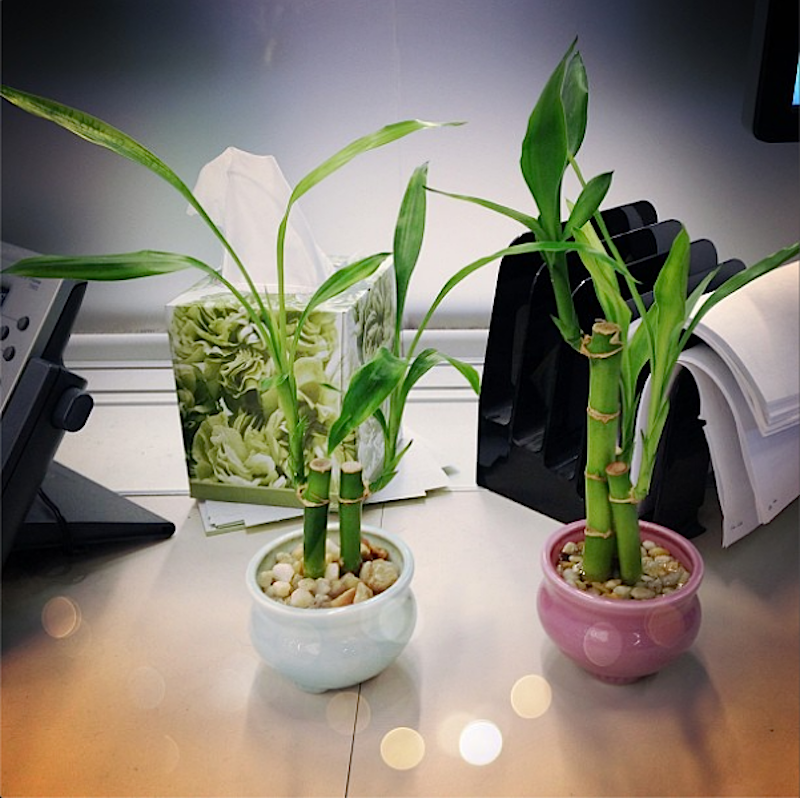 Not sure if you follow me on Instagram, but I bought a tiny bamboo plant to cheer up my office desk and posted about it on my account awhile back. I named her Lucy, and my desk-mate liked my plant so much, she got one, too! Her plant’s name is Ethel. Yup, Lucy and Ethel. Guess what showed up in my email inbox the other day? My Zumba Convention 2013 tickets!!! I’m so pumped. 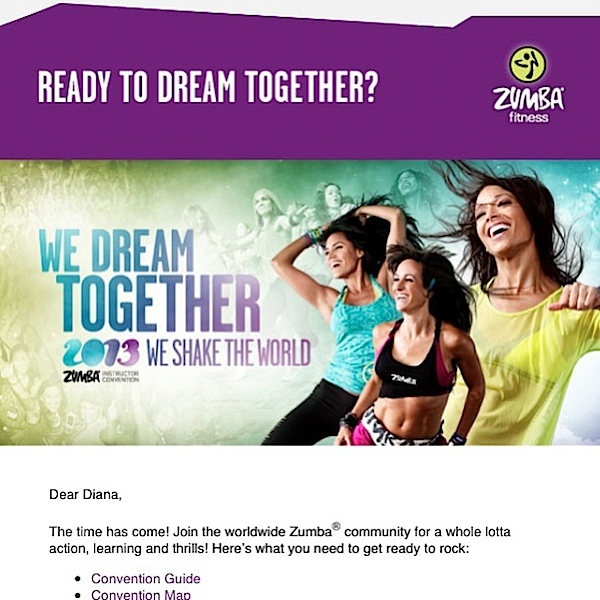 This will be my third year attending Zumba Convention, and it’s quickly become one of my favorite things to do every year. I’m about a week and half away. Can’t wait! And I made chili today for some friends and was reminded of why I try to read ingredients lists. My chili calls for three types of beans, and I found pretty clean versions of all but one. Most of the beans had three ingredients – beans, water, salt. 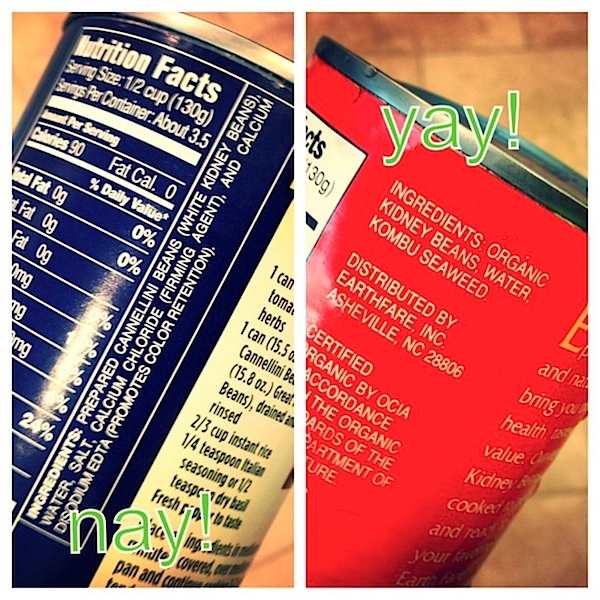 But one of the cans had beans, water, salt, PLUS calcium chloride and calcium disodium edta. Now, I’m not going to freak out over these added ingredients, nor will I refuse to eat them, but I do try to avoid them whenever possible. I mean, if I were seasoning the chili, I wouldn’t be like, “Okay, I’ll add one tablespoon of chili powder and 2 teaspoons calcium chloride.” This is where I try to stick to the Food Rules by Michael Pollan. I tried researching those last two added ingredients online quickly. There were different stances on calcium chloride – some calling it safe and others saying it has negative side effects. But, one quick hit was that calcium disodium edta is on the Whole Foods list of unacceptable ingredients in food. Pollan’s logic is still enough for me to try to avoid both. How do you feel about added ingredients in your foods? Do you have a hard and fast rule to not eat them, do you try to avoid them when possible, or do you not care about eating/drinking them?